LPG tanks - Grodkowskie Zakłady Wyrobów Metalowych S.A.
Toroidal LPG tanks for multi-valve joined with internal fitting nozzle and gastight enclosure. 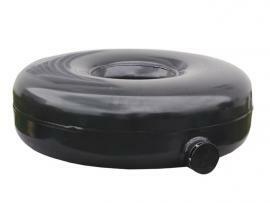 By using thinner metal classic toroidal LPG tanks from PREMIUM series gains additional capacity without losing their endurance. Full toroidal LPG tanks for multi-valve joined with external fitting nozzle. 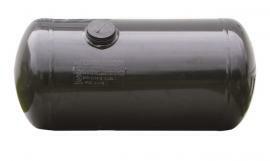 Cylindrical LPG tanks for multi-valve joined with round fitting nozzle placed on the left “L” on the right “P” side of the tank. 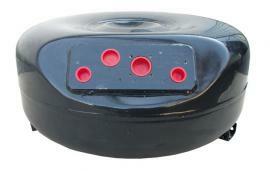 Cylindrical LPG tank ZC 360 E for multi-valve joined with round fitting nozzle placed on the left “L” on the right “P” side of the tank. 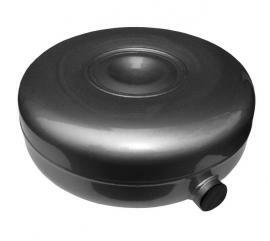 Cylindrical LPG tanks ZC 360 D or ZC 300 C for multi-valve joined with round fitting nozzle placed in dished bottom part. 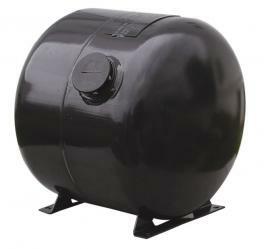 Tanks for the storage of liquid ( liquefied ) gas LPG installation in motor vehicles. Tanks allow the consumption of the gas phase.